Halifax Dance hosts an annual event celebrating International Dance Day. 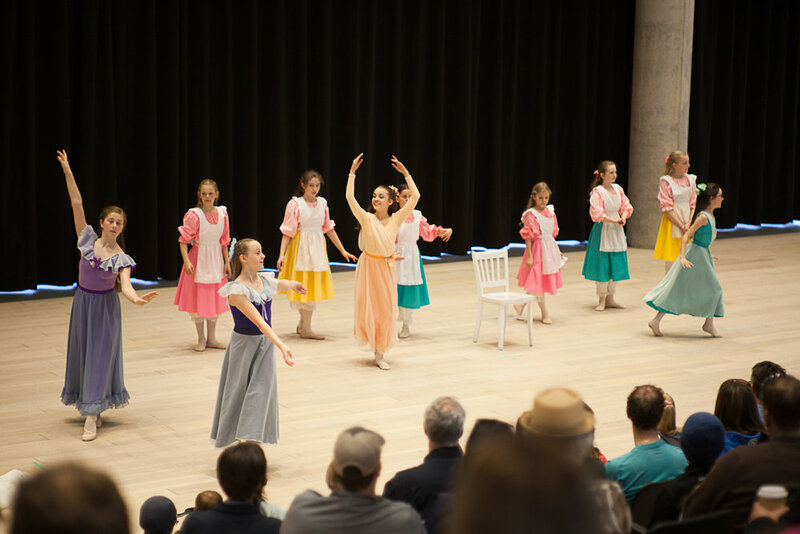 This event features a performance by our TYDE dancers and is held at Halifax Central Library. Each year the Young Company works hard on a full length show to present to Halifax audiences. Your support of their work is tremendously appreciated. To finish the year our students perform in the Annual Showcase at the Rebecca Cohn Auditorium. Each holiday season our ITP students present a showcase at the McInnes room. It's a highlight of the year and a great holiday tradition. Halifax Dance has been a presenting partner in Symphony Nova Scotia's Nutcracker for over 25 years. This annual tradition in Halifax is not to be missed! Each fall our Young Company presents an installation in Nocturne. Past exhibits include Barres on Barrington and Choreo on the Corner. Stay tuned for our presentation for this year's event!